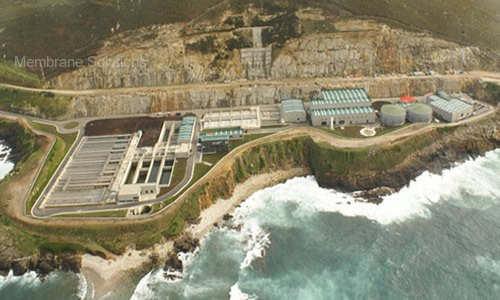 Desalination is a process whereby seawater can be converted into a usable water resource for human consumption, irrigation and industrial needs. Where fresh water is scarce, alternative sources of water are sought for drinking and industrial use. Seawater is a vast and readily available resource, and its desalination is already common in arid areas of the world. The use of microfiltration followed by reverse osmosis is becoming the accepted standard for desalination. 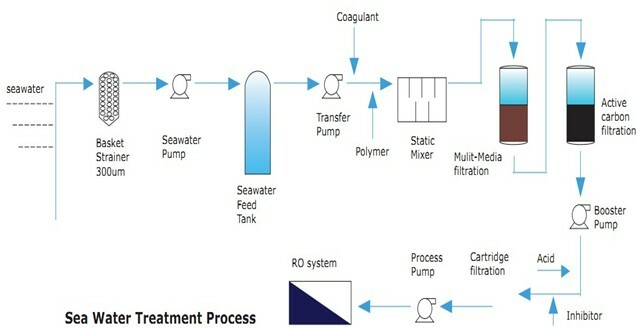 Seawater can be converted into high-quality fresh water efficiently and cost-effectively using the MS sediment filters in combination with RO membranes. 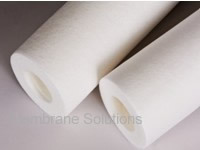 MS® MicroPure Classic melt blown filters is pure polypropylene depth filter, which offers better protection of RO membrane systems. All PP construction provides good resistance to both organic and inorganic solvent. PP core provides excellent strength of cartridge filter. Long service life. 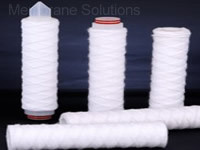 MS® wound cartridge filter is a kind of deep filter, which is made of textile fabric string preciously winding onto the multi-hole axis according to the specific technology. The double O-ring sealing system ensures positive sealing of the filter cartridge within the housing and virtually eliminates the potential for bypass. 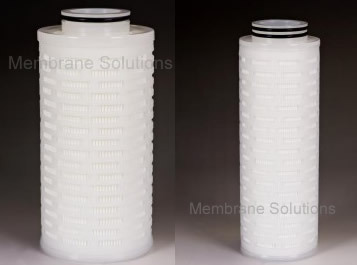 MS® High Flow cartridge filter is coreless, single open-ended which can be wide used in different applications. Large diameter and large filter area thus reduce use quantity and filter size. Certainly the inside to outside flow allows for excellent dirt holding capacity, extending the time between filter change-outs.